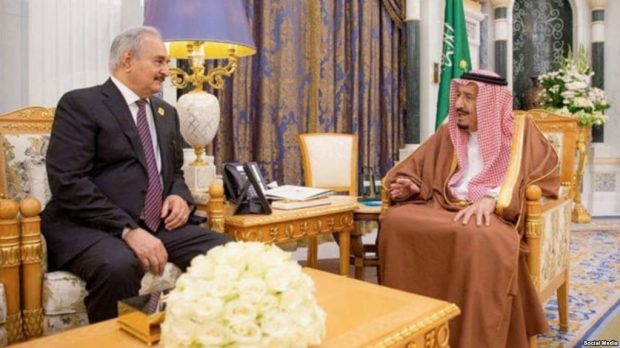 The commander of the self-proclaimed army in eastern Libya, Khalifa Haftar, arrived on Wednesday morning in Saudi Arabia and met with King Salman. According to Saudi media, King Salman and Haftar discussed in Riyadh the current political process and the crisis in Libya. Saudi Arabia’s news agency said that King Salman reiterated the keenness of his country on helping Libya restore stability and security.